Sometime we were told about fairy tales in our childhood, and we imagined ourselves not in our home, but somewhere in the boundless sea or in the woods. Sometimes our imagination was very, very real. Now we can travel with modern technology. Virtual 3d reality allows visiting different places, without leaving a PC or TV. Unfortunately, it’s still unrealistic to get into this reality directly and we need to use special tools, including special glasses. 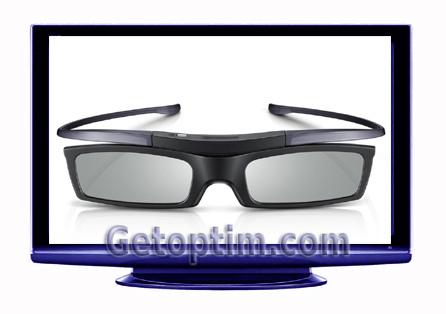 So let’s take a look at the features of the choice of 3d stereo glasses for TV or PC in more detail. Well, first of all, let’s say that 3d stereoscopic glasses (or virtual reality glasses) are special devices that allow a human eye to perceive the stereoscopic effect of 3d video. Anaglyph 3d glasses are the easiest option and the cheapest (you can buy it for $ 1-2). These devices have two different lenses – mostly red and blue. The principle of their use involves dividing the image into the two above-mentioned colors individually for each eye. Lenses filter an image by color and each eye sees its own image. The principle of the use of passive stereoscopic 3d glasses is that their 3d lenses have a special polarization coating that allows you to see only the part of an image that has the corresponding polarization. Due to this, each eye also gets its own image. Since the glasses already have special lenses, they can work autonomously, without additional power supplies. Active (shutter) 3d glasses work in such a way that at any moment the viewer sees a picture with only one eye in turn – this is the essence of the active 3d. This is due to the fact that the crystals that are in the lenses darken (close the clearing) under the influence of electric current with the required frequency. It all happens so fast that a person just does not notice shimmering and it seems to her that she sees with both eyes continuously. Active 3d glasses must have a power supply, most often a battery. Also, they must work absolutely synchronously with the TV (monitor), so the glasses of a particular manufacturer can be used only with a TV set of a same brand. If you need to buy a good device and determine which 3d glasses are better, we can recommend choosing polarized (passive) glasses. Anaglyph is now no longer in fashion. At the expense of active (shuttering) glasses, personally our opinion is that they can be used only occasionally to view something. And their using by children is not recommended at all, because you just imagine what happens in the brain with this continuously-imperceptible blink. On the other hand, only anaglyphs or shutter glasses can be used for computer monitors. If you want to get all the beauty of 3d for your computer – buy active model, for example Samsung or Sony active 3d glasses, because after a while they can become the same integral attribute of any gaming PC, such as a keyboard. Each head is different. Accordingly, the glasses need to be selected by size. The standard sizes are L, M, S.
In some models, the brace can be adjusted, while others are generally made so that they can be hooked to any size (universal 3d glasses). When you need to buy the best 3d glasses, use the universal advice – be sure to try them out for at least 5-10 minutes to figure out whether they fit or not. Well, this is all about 3d glasses in general – good shopping for you!